Oh man I was so excited to dive into this book, even though I knew by the end I'd be dying because I have to wait until the second book to come out to find out what happens. K. A. Linde was so so wright, I did binge this baby but who can blame me?! I was just way too excited and curious and the book felt a little short, not gonna lie, so you really can't blame me at all. The Wright Love was told at a fast pace, things happened much faster than I had been expecting but they still felt very wright. And I mean David and Sutton already knew each other for a year and had a good friendship, so it wasn't that fast I guess. I had just been expecting a little more angst because she is a widow but expectations aren't always met right?! And I'm not disappointed in the least, the book did have angst and I really enjoyed it and the fact that Sutton didn't let her mourning rule over her moving on (much). I actually loved the pace and the balance in this story, it really felt like the wright one for them. There David was. My friend. A constant companion through the last year. He towered over even Jensen, easily dwarfing my small frame. His hair was dark blond and gelled to perfection. His eyes were a hazel brown that changed with his mood. Right now, they were nearly gold from the afternoon sun shining in from the windows. And his fashion was even better than my own. Gray slacks and a blue button-up, the sleeves rolled up on his muscular arms. He was…David. Just David. Yet…that look. Sutton struggles to move on and to find her place in life but she finds the strength to open her heart to new things and possibly a new love. David has felt a strong connection to Sutton since the first day they met, the worst day of her life. He always hoped that one day she'd maybe move on and see him like he has always seen her. Once upon a time, I’d seen a genuine smile from Sutton. A year ago, she’d looked up at me from a blanket on a marathon track, and her radiance had shown through. Her head haloed by light, she had been so full of joy and on top of the world. Now, her cheeks were hollowed out. She’d lost weight. She was a shell of the butterfly I’d seen that day. Yet still beautiful and surviving and alive. She was getting through one day at a time, and I couldn’t ask for more than that. Though I wanted to. I met David in Morgan's book - The Wright Secret - and I have loved him ever since! He is such a great friend, and guy in general and boy he did not disappoint one bit, not even when his secret came out in the end and left me having a jaw dropping moment because I hadn't been expecting that at all. AT ALL. There were hints that he was hiding something from her but they were very subtle and it just never crossed my mind that it would be THAT. 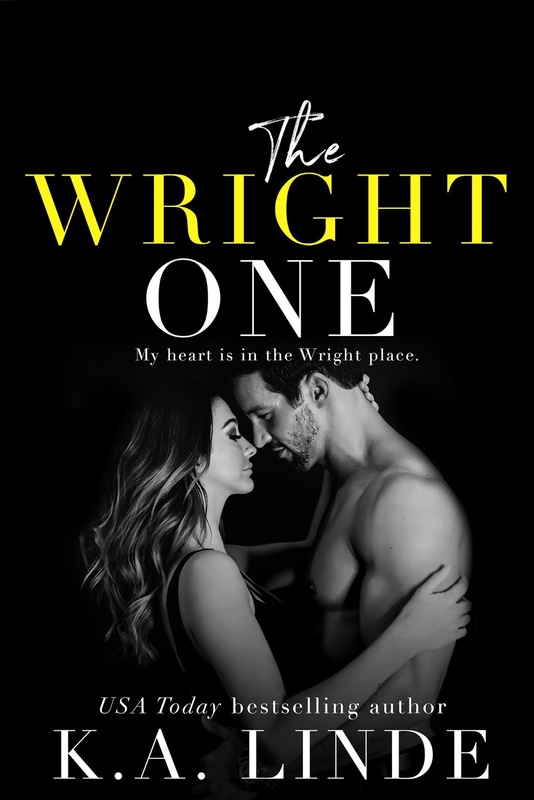 I'm dying to find out what happens in The Wright One, not just regarding Sutton but all the Wrights, everyone loves David and I just can't wait to see their reactions! David & Sutton were the freaking cutest. You won't be able to not fall in love with them, mainly David because he has an heart of gold, he does. I just loved him and how thoughtful and understanding he was, so much . I also loved watching Sutton get a bit of her old life back after losing Maverick. She deserved to have a little fun and a lot of love after the year she had been through. “I bet you were a good little boy and waited until you were allowed,” she teased. “I waited for you.” Her eyes were bright as she leaned over the kitchen counter. “Is that so?” “Of course. You were worth waiting for." 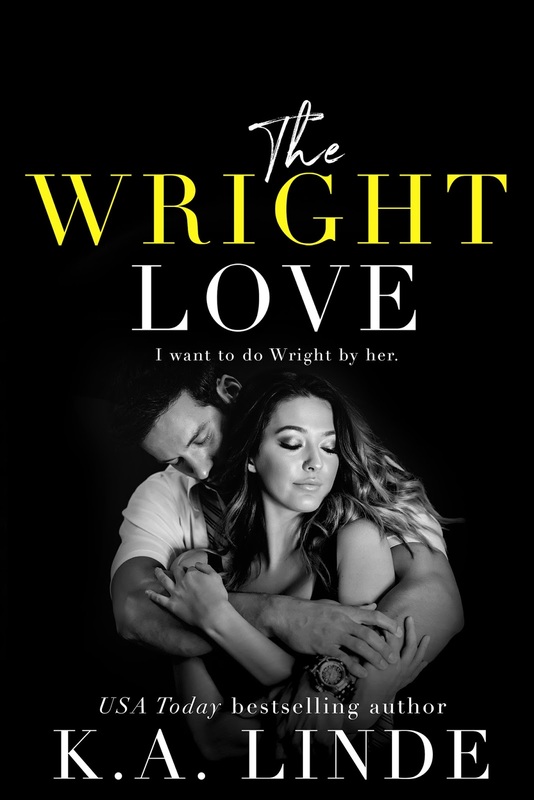 The Wright Love is an alluring tale of loss, of learning to live with the pain and coming to terms with moving on and finding love again after losing the most important person in one's life. It will leave you desperate for more of these two, and to find out how it will all come full circle in the conclusion of this duet.